Tags: Apple, Cloud Computing, google, IBM, Microsoft, North Carolina State University, Patty Sullivan, Smartcloud for Education, Spss Inc.
WA – Tell us about your background and what you do now? PS - As a worldwide solutions executive, my job is to look at what are the primary challenges and issues and initiatives being addressed by k-12 schools, higher ed and systems of education at the state and national level. I have to determine how tech can alleviate those challenges and bring about a transformation. That includes analytics and cloud computing. Cloud compting allows for a new approach to integrating services and finding economies of scale for a pretty challenged industry. From a budgetary view, we are challenged to find newer types of service. decrease costs. WA – Within IBM’s cloud initiative, how big is education? How much revenue does Cloud generate now? $7B by 2015? and how much is education related of now and in the future? PS – What I can say is from a transformation standpoint, as I look at investments being made in education today, we look at a couple outside organizations to look at investments from IT to cloud. EduCause – An IT organization – they have a number of reports out on the shift in funding for cloud education. Some reports show a shift in cloud based computing by 4 times over traditional IT. WA - You say education clouds are just starting to emerge? Explain these to us? How big this market can be? What these are in layman’s terms? PS – The easiest and most accessible example: Most of us went to college at a time when there were computer labs. If you had to write code or do an assignment, you had to go to a computer lab, reserve time and work under a time limit. If you didn’t finish on time, you were kicked off because other students needed to use it. Education is moving into this environment. We’ve been working with NC State for 8 years creating a virtual computer lab environment. Those devices become an image in a cloud. A student no longer has to go into a physical room and machine. It may involve application specific to homework or course software. Instead of you, the student, going into a computer lab, you can sign in from any Windows, Linux or Apple-based device and get access from that image from a home, coffee shop or anywhere else. WA – How are sales going on this initiative? NC state developed the virtual computing lab with support from IBM. we’ve now replicated that to more than 40 institutions around the world. They were able to increase 1.5 times the students per license. They were able to buy fewer licenses to support the students with software. At North Carolina State University, it’s moved from student lab area to research lab. now a research lab may need a very large system to run scientific code. must gain access to a large number of servers to run numeric intensive super-computing type of code for research. The way it is implemented in the NC State University is as a private cloud. We provide the underlying hardware and software. We have basically connected that private cloud for NC State to our public cloud. 30,000 students and faculty at NC state use it. NC State is a hub to provide services across the state to 250k other students and faculty in North Carolina. IBM’s cloud system works with all course management systems. Traditional are Blackboard, Desire to Learn, Knuddle, Cicai. WA – What’s happening in the course management world? PS – The traditional term is LMS – learning management systems or course management systems. We’re at a very interesting inflection point in course management. When it was initially announced, LMS provided a tool for faculty members to aggregate learning experiences for their students. They would bring together assignments – testing, resource materials, a syllabus – and bring those together so a student could work their way through a course. What’s happening is social networking, content management and analytics are thorougly changing the way learning is being delivered. As we look at LMS, they are all looking at how to become a more collaborative learning environment… IBM has all those capabilities. 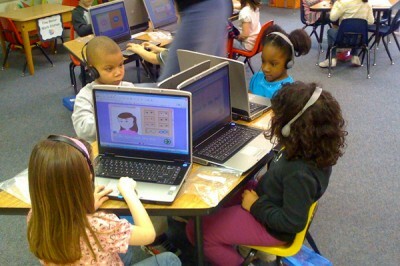 WA – Do you think the big tech firms like IBM, Google, Apple and Microsoft will all grow larger in education? Has it been on their back burner up till now? Is it still? PS - Learning and education is of interest to every tech company…. I wouldn’t say it’s been a back burner for IBM. it’s been a forefront of our strategy. we’ve been working with education for more than 50 years, integrating our tech from moving from a traditional model to one that’s more effective. WA – What’s your future strategy in the education space? PS – Last month (June), we launched an umbrella of products called SmartCloud for Education. Three components there are: 1) The first was virtual computing lab. 2) Academic research collaboration and analytics and the research side. 3) Decision management for education. taking decision analytic into education. The cloud program has an 8 year history with 40 installations around the world ranging from Singapore, France, Turkey, Poland and Australia. We have white papers from Georgia State, George Mason and California State…. I think it’s early. We definitely expect the market to grow. 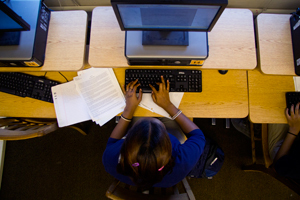 Cloud computing makes a lot of sense for education. we are seeing more adoptions of cloud based technology. It’s where the buzz is for education. cloud computing and analytics are the transformational tech elements. WA – What have recent acquisitions brought to IBM’s education business? PS – We have taken the capabilities of SPSS Inc. [an analytics firm IBM bought for $1.2 billion in 2009] and created specific predictive models for education: student enrollment, student success and retention. How do you ID which students are at risk for dropping out and how you are retaining them? In campus safety, how do you determine the most dangerous areas of campus to direct cameras and campus staff there? With Donations, how do you target alumni? WA – Are your products geared for online colleges and for-profit colleges, particularly with the new regulatory environment? PS – That’s exactly what its intended for. The Department of Education is now looking at those institutions and require improvement in completion rates. They are also looking at insuring students when they graduate – so they aren’t overly burdened with loans. They want to make sure they get degrees and get jobs. Our products can help target intervention to students at risk of dropping out … and can give clues how to add services to retain them or move them into a course of study that is more suitable. WA – Are any notable, large, for-profit schools like The University of Phoenix already using these systems? PS – The University of Phoenix, to my knowledge, is not using it. WA – What about high schools and online high schools? PS – We are looking at both K-12 and higher education. There is an important element here for funding available from a K-12 perspective called “race to the top.” This is an opportunity. 9 states and DC are focused on how to use tech in improving student outcomes and making that shift. There’s a significant amount of investment being made by government ($4.3 billion) to accelerate this adoption of new approaches to learning.